or from Lulu, the printer, here. 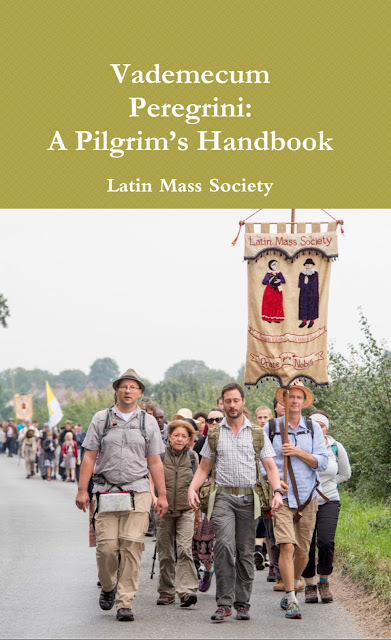 We created this booklet for pilgrims on the Walsingham Pilgrimage, but it was always intended to be of wider application, containing information, Mass propers, and special hymns and prayers for Latin Mass Society Pilgrimages to York, Oxford, and Holywell, as well as notes about many others. After much expansion, revision, and correction, we can now offer this to the general public. If you get a copy and subsequently decide to come on the Walsingham Pilgrimage, you can bring it with you and save a few pounds on your fee. It contains the Ordinary of the Mass, the same version as the LMS Ordinary Prayers booklet, a number of Mass Propers (prayers and readings) used in pilgrimages, and a great many prayers and devotions useful on pilgrimage and elsewhere: for Communion, for Confession, the Stations of the Cross, the Rosary (with traditional meditations on each Mystery), the Seven Penitential Psalms, and lots more. In addition is has a huge amount of music in it. 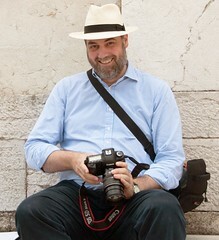 Newly re-set Chant settings for Mass, but chants, hymns, and songs 'for the road': including the best of traditional Catholic, the most familiar non-Catholic hymns which have become part of our country's common musical and spiritual heritage, and great hymns from Ireland, the USA, Australia, and the Chartres Pilgrimage. It is 270 pages, in a narrow 'pocketbook' format that - as its name suggests - fits into a pocket. Where else will you find settings of the Hail Mary suitable for singing the Rosary, in English, Latin, and French? The Litany of the Saints, of Loreto, of the Sacred Heart, and St Joseph, in Latin, with the music? The Song of the English Zouaves, sung by the British defenders of the Pope in 1860, with a musical setting by our Patron, Colin Mawby? Rousing songs to overcome the miles at the end of a long day's walking, such as Men of Harlech, the Battle Hymn of the Republic, and Rule Britannia? All with an Imprimatur from the Archdiocese of Westminster! We've found it convenient to upload it to the print-on-demand service Lulu, which has printing facilities all over the world. If you are overseas, buy it from Lulu and it will print it locally to you, ovoiding overseas postage. or direct from Lulu, the printer, here.